Foreign Visa & Passport Pictures. Custom Sized ID Pictures Available. Photo IDs for Employment & Licenses. Two Pictures are Always Included. Fingerprinting & Notary Services Also Available. Process Time = Only 5 Minutes. Cost = Only $10.00 (Includes 2 Photos). Only $1 Per Additional Print. 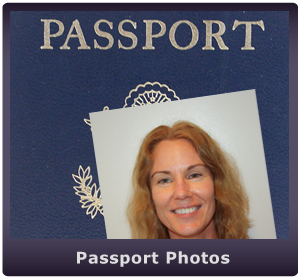 Our passport photo location is convenient for anyone needing passport images or Visa pictures in the San Diego area. We are located just off the I-5 Freeway. Whether you live in Pacific Beach, Clairemont, Mission Beach, La Jolla…. or you simply travel the 5 Freeway then this is the perfect place to visit for your passport pictures. Look for the 2 story office building located between the Chase Bank at 4650 Mission Bay Drive, and Wienerschnitzel located on Garnet Ave, San Diego CA 92109. Follow the this link for a live Google Map to our San Diego Passport Photo studio. Alive Scan also prints foreign passport photos and visa photos. Most of Europe requires 35mm by 45mm pictures but it’s wise to verify the current rules, dimensions and size requirements for your particular situation. Fortunately for our passport photo applicants, our San Diego studio can print up whatever size photos to fill your requirement. Mexico Passport Photos = 35mm x 45mm photo (top of head to bottom of chin = 70-80%). Australia Passport Photos = 35mm x 45mm photo (top of head to bottom of chin = 32-36mm). Britain & UK Passport Photos = 35mm x 45mm photo (top of head to bottom of chin = 29-34mm). Italian Passport Photos = 35mm x 40mm photo (top of head to bottom of chin = 70-80%). Bonus – We can print up any size photograph to meet you specific specifications!